"But I'm a creep, I'm a weirdo. What the hell am I doing here?" 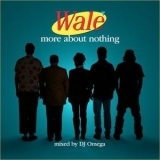 More About Nothing (this album) (2010). Sorry, no matches on eBay for "The Motivation B Right Wale".